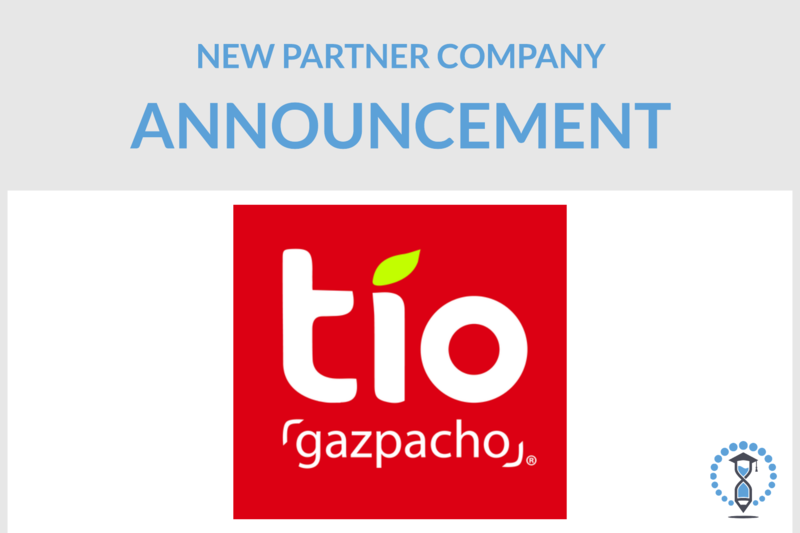 We’re excited to announce a new partnership with Tío Gazpacho, a drinkable chilled soup brand, as part of our continued efforts to bring video-based cases from innovative companies into the classroom. Headquartered in New York City, Tío is backed by award-winning chef, José Andrés, and General Mills’ 301 Ventures, Inc.
Tío has created a new category in the consumer packaged goods space by being portable and using high pressure processing to keep its raw ingredients nutritious. It’s currently being distributed through a growing list of retailers, grocery delivery services, and direct-to-consumer online ordering services, including Amazon Fresh. It Takes a Village: Strategic Alliances & Networks - Tío has made significant gains with partners such as General Mills and star chef José Andrés. Where should the CEO look next with new or current partners? Tío Goes for It: Growing the Company – Tío is defining a new category in the Food & Beverage industry. How can the product line be expanded through optimizing operations and logistics? Tío Listens: Consumer-Driven Trends – Tío arose out of the founder’s love for a culturally-Spanish product—cold soup! How can he get buyers on board with a new category? Social Media Marketing: A Taste of Tío without Trial – Many aspects of the product have been adapted to meet the US market, but taste is always a pillar—What might entice customers even before tasting? How would social media marketing entice consumers to try Tío’s product? As you can see, the case studies delve deep into business aspects from competitive landscape to market operations. Through this collaboration with Tío, we are truly preparing tomorrow’s leaders with today’s challenges. Real Time Cases’ mission is to serve as the bridge between the higher education classroom and the professional world. Real Time Cases delivers engaging video-based activities that make it easier for educators to let students address real problems facing relevant companies in the moment, as they are happening. With Tío’s rapid expansion and the opportunity for students to make an impact in their business, the partnership between Real Time Cases and Tío could not be a better fit for our customers. This is also a very exciting occasion as Tío’ is added to our list of current partners, including KIND, WeddingWire, SHARKK, and many more.